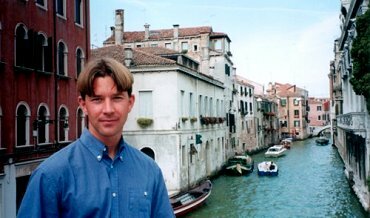 I returned to Sweden and my home university for autumn semester 2000 after my travel and experience rich year. I have to admit that arriving back in Sweden wasn't the most favourable experience, but I did write my Bachelor Thesis in Finance and received my Bachelor degree in Economics and Business by the end of the year. 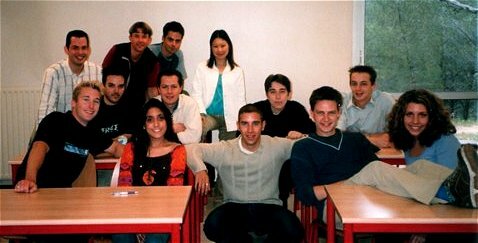 I knew that I would continue one more year for my Master's degree and as I had had such a good time aboard before I decided to go for another exchange for spring semester 2001. After contemplating a few alternatives I decided that France would be a beneficial experience considering the French language and also the culture and location of the area. I chose to study in Marseille at the École Supérieure de Commerce Marseille-Provence, which is situated on the coast of the Mediterranean Sea in the well-known area of Provence. The environment was quite a change, especially when compared with the weather of the Nordic countries, with hot and sunny days on the Côte d'Azur - also known as the famous French Riviera. Marseille is France's second largest city and the number one trading port. It lies between the Mediterranean Sea and the surrounding hills covering an area twice as large as Paris. The city itself is an interesting mixture of winding streets, contrasting old and new buildings, wild traffic, beaches and at sometimes rather dubious encounters with the many locals with immigrant backgrounds who give the city a lively ruff ambience. As they say, "Marseille is a city of attitudes and opinions - one is either against or for - with not much room left for a middle way". The Business School, École Supérieure de Commerce Marseille-Provence, was situated on the outskirts of Marseille in a beautiful nature conservation area a close distance from the Calanques, which are magnificent cliffs and bays formed along the Mediterranean coast. The school had a relaxed atmosphere with quite a few events such as the Semineige (skiing trip to the Alps), Sup de Fun/Co Folies etc. (parties, open bar, le foyer...), the beach party, the integration seminar etc. I also had the pleasure of getting to know new people and made lots of friends during my visit as well as visited the beautiful areas of Provence, the Côte D'Azur, Alps, Monaco, Barcelona, Paris and Italy. Especially the towns of Aix-en-Provence and Cassis made a lasting impression on me with their unique architecture, markets, terraces and of course nothing can beat a cold glass of rosé wine on a sunny day while overlooking the clear blue sea stretching into the horizon! After the sunny spring, which to me felt more like summer from January to May, I returned to Scandinavia. 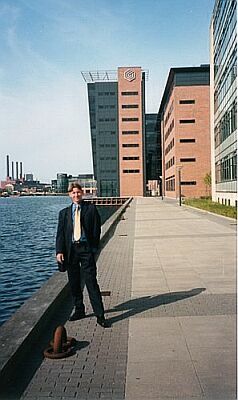 I had succeeded in securing a job for the summer at a German bank called LandesBank Kiel in Copenhagen, Denmark as a financial analyst. Before beginning my job I also had the pleasure to spend time with my very special friend Melisa showing her around in Finland and Sweden as well as visiting her in Verona, Italy. Working in Copenhagen was an educating experience and not least due to the fact that I lived and worked in two different countries. After all the talk about globalisation, this practical experience is a good example of how boarders are losing their importance in the European Union. I am from Finland, lived in Sweden and worked in Denmark for a German bank! I graduated from University in January 2002 with a Master of Science in Business and Economics degree after completing my Master's Thesis on a area called behavioral finance. Thereafter, I packed my belongings, got rid of my apartment, said farewell to Sweden and was finally back in Finland 4,5 years after I had first left my home country for studies in Sweden.